Made-for-TV Rebrand: Is VH1 “Cool” Again? 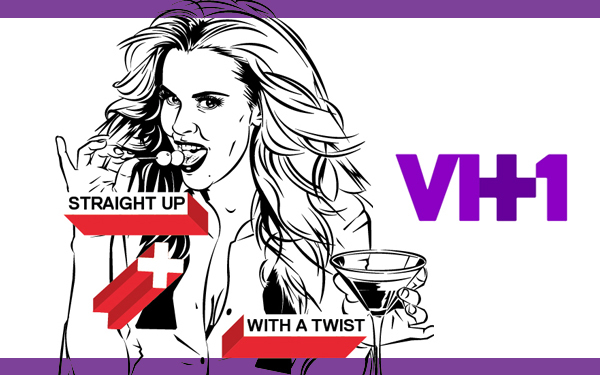 Home / Branding / Made-for-TV Rebrand: Is VH1 “Cool” Again? Recently, the TV Network VH1, unveiled a new multi-platform rebranding effort in what I’m assuming, is it’s attempt to stay relevant in this ever changing cultural and technological world of ours. This includes a re-vamped logo, new shows and an all-around image makeover. The new logo now includes a plus sign, which is supposed to represent the meshing of music, pop culture and nostalgia. Hmm. I’m not so sure the average viewer will pick up on that immediately. If anything, for me, the logo is now harder to read. The placing of this plus sign makes it read like VI+1, which sounds more like something a pharmaceutical company would come up with, not a “hip” music network. They’ve also added a few new shows to their line-up, including The Jenny McCarthy Show, Black Ink and Making Mr. Right. To be honest, who can blame VH1 for wanting to seem young and hip? They’ve always appealed to an older crowd and times are obviously changing. There are too many Justin Bieber and One Direction fans taking over the planet to be ignored. But I can’t help but ask – if they’re trying to keep up with this new wave of boy banders, is Jenny McCarthy the way to go? If you’re under the age of 21 and have never seen an episode of Singled Out, do you even know who she is? Probably not. VH1 has released new commercials promoting this rebranding, which feature a song by the duo Tegan and Sara, a favorite amongst the “hipster” set. Actually, I’m not even sure VH1 plays Tegan and Sara videos. Kinda ironic.